The market has lost its vitality. As expected, this situation will continue for a while. Gold: Is Gold in an upward trend? No. Gold prices are in a downward trend. 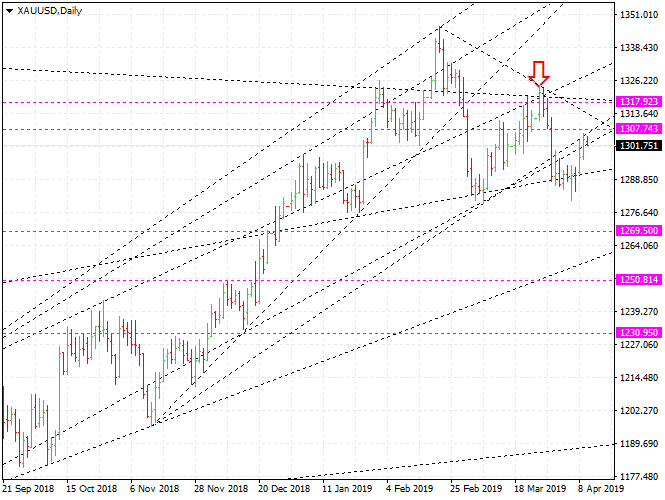 XAUUSD is likely to decline. The important resistance line is $ 1307.7. If gold prices go up, it would be better to find opportunities to sell. Silver is relatively weak compared to gold. Silver prices will fall. The $ 14.95 is supportive, but weak. XAGUSD says the resistance is $ 15.37. If silver prices soar, it would be a very good selling opportunity. WTI: As we have already mentioned, crude oil prices hit their resistance. The oil market is very unstable and hot. Crude oil prices will continue to rise. Brent oil will rise to at least $ 75.3 and WTI to at least $ 68. Euro: The euro makes us lose interest. EURUSD is stuck between 1.1173 and 1.1332. It is not a good time to trade. The important thing is that the euro is preparing for big fluctuations.